Teen Vogue has printed a claim about the IDF that the publication admits it was unable to verify. 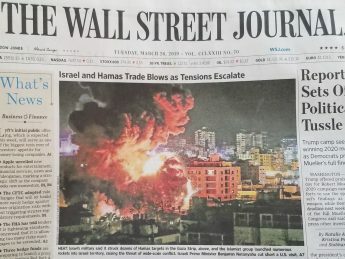 Nowhere on the Journal's front page is there any indication of the Israeli home that was destroyed or the Israeli civilians that were injured. 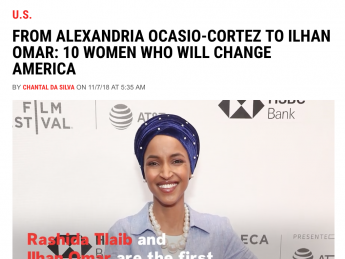 In addition to the cover photo, and a cover line calling Omar a woman “shaping the future,” the magazine features an interview with Omar, and she is one of four subjects of a glamorous video. While other groups claim that Jews should not be permitted to live as a minority among Palestinians in the West Bank, Amnesty goes even farther, targeting the ability of Jews to travel there to see their own history. 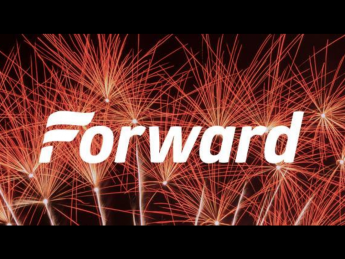 Of late, the Forward seems to be on an ongoing quest to find new ways to surpass previous lows. The piece by a self-described “scholar of Palestinian history,” is rife with historical distortions, such as, the claim that Palestinians wished to "throw Jews into the sea" was a result of “an Israeli media campaign following the 1967 war." 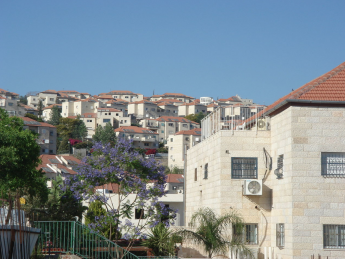 Airbnb's claim that settlements are “at the core of the dispute between Israelis and Palestinians” reflects a lack of understanding of the history of the region and of the history of the conflict itself. 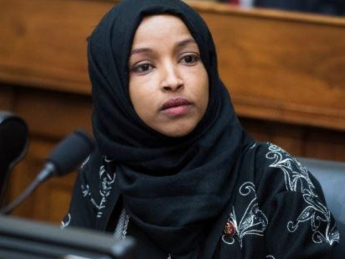 Ilhan Omar has tweeted, “Israel has hypnotized the world," and Rashida Tlaib has taken positions inconsistent with Israel's continued existence as a Jewish state, but some mainstream news outlets have ignored these views. 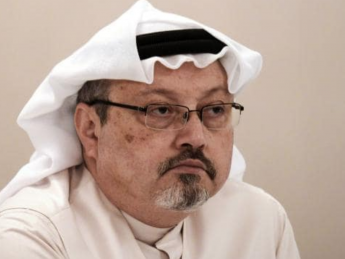 The Washington Post in particular seems to have lost the plot, giving a platform to the leader of an Iranian-backed regime that targets journalists even while it condemns Khashoggi's alleged murder. Just as the claim that the IDF commits atrocities is an attempt to limit the ability of Jews to defend themselves physically, the claims that groups that defend Israel or fight antisemitism are somehow shady, engaging in immoral tactics, is an attempt to limit the Jews' ability to defend themselves rhetorically. Karen Bekker Karen Bekker is the Assistant Director of CAMERA's Media Response Team. 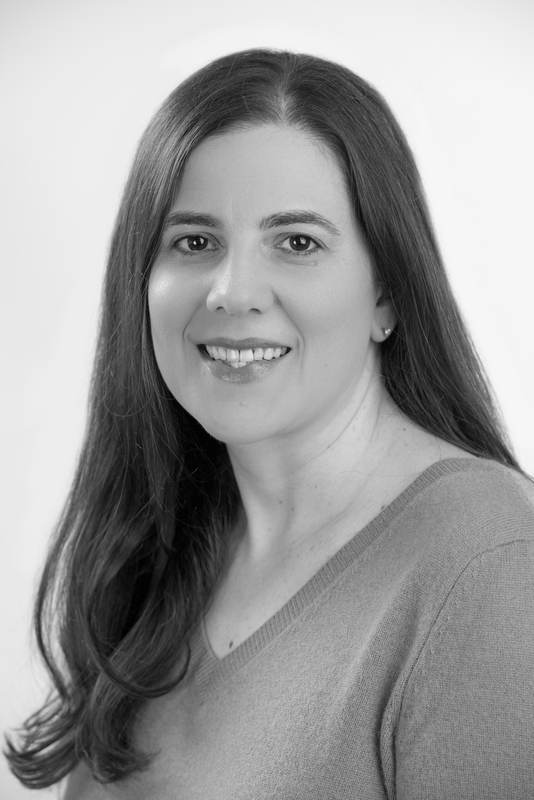 Prior to joining CAMERA, she practiced law for nine years as a commercial litigator.